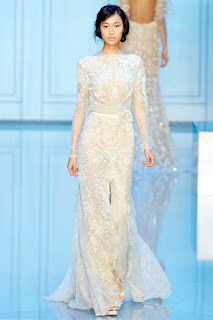 The Haute Couture shows for Fall 2011 have just wrapped up and I skimmed through all the couture designers that presented. 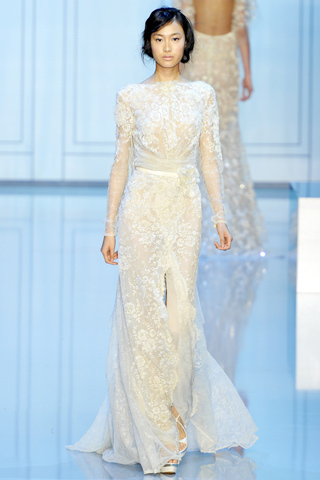 Of them all, I was drawn to the twinkling beads and pearls of Elie Saab's gowns. Maybe I'm coming off a wedding kick (hence the bias towards this look), but any of these would be bride-worthy. Modern, sleek, and elegant.